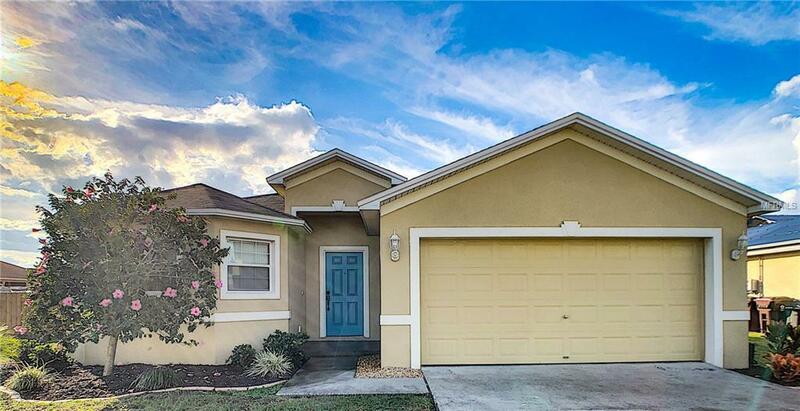 ****Price Reduced**** Beautiful 3 Bedroom, 2 Bathroom home in Sunset Pointe. This stunning home on an oversized corner lot has been meticulously kept. The spacious open floor plan welcomes you as you enter. Large kitchen with granite counter tops and ample storage space opens to dining area and large family room with high ceilings. The large Master Bedroom includes dual walk-in closets and dual sinks. Rear French doors open to a huge back yard; with no rear neighbors, custom-built stone patio, and fire pit this is a fantastic relaxing or entertaining area. With brand new carpet and fresh paint throughout, this home is like brand new. All rooms and patio have ceiling fans. Attached double garage. Sunset Pointe is conveniently located near restaurants and shopping, and just minutes away from historic downtown Lake Wales, and Bok Tower.